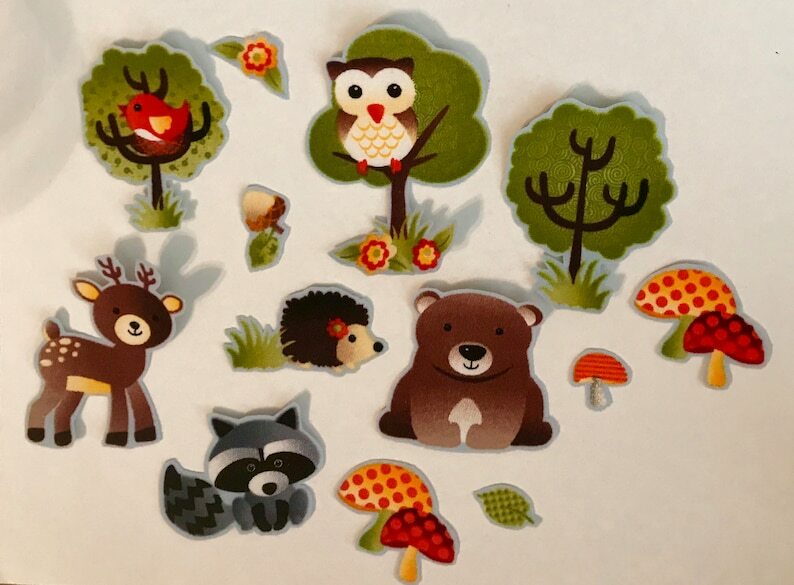 Includes one set of 12 appliques, 7 are little trees or animals....raccoon, bear, owl, porcupine, deer. Others include tiny toadstools, flowers, acorns, leaves. All made from quality cotton fabric, with an iron-on backing. ...the possibilities are endless! Largest appliques measure about 2” to 3"
Super adorable! Great colors! Easy to apply! Quick shipping too! Thank you for a fantastic transaction!